Avada includes a Contact Page template, with a built-in contact form and Google Map integration. We also have included integration with reCAPTCHA that gives users protection against spam, and with Avada 5.8, we offer both V2 and V3 of reCAPTCHA. To find out more about how to set up your Contact page using the Contact template, watch the video or read on.. Step 1 - Create a new page, and give it any name you wish. Step 2 - In the Page Attributes box on the right hand side, set the Template option to Contact from the dropdown menu. See screenshot. Step 3 - Insert your content into the editor or Fusion Builder, such as a heading and text. Step 4 - Choose whether you wish to use a sidebar or not. Please refer to the Assigning Sidebars section of our documentation for instructions on how to use sidebars. Step 5 - Save the page. Step 6 - Navigate to Avada > Theme Options > Contact Form, and make sure to set the email address the form should be sent to on the Email Address field. Step 7 - To show your Google Maps on your Contact page, go to Avada > Theme Options > Google Map, and insert your Google Maps API Key on the Google Maps API Key field. To get your API Key, please read the instructions in our Setting Up Google Maps API Key documentation. Step 8 - The Contact Form tab on Avada > Theme Options holds various options for you to position the contact form, display a Data Privacy confirmation box, and a section to set up reCAPTCHA, . Please check the "Contact Form Options" section below to know more about these options. You can customize the Contact form and Google Map in Avada > Theme Options > Contact Form using various options. There are three sub-panels in the Contact Form tab: Contact Form, Google Map, and Google Map Styling. Please continue reading below to know more about each option. IMPORTANT NOTE: The options on this tab are only for the contact form that displays on the “Contact” page template except for the Google Map API Key. Email Address - Allows you to enter the email address the form should be sent to. This only works for the form on the contact page template. Contact Form Comment Area Position - Allows you to set the position of the comment field with respect to the other fields. Choose from Above or Below. Display Data Privacy Confirmation Box - Allows you to display a checkbox and custom label that has to be checked in order to confirm data privacy terms and that the form can be sent. Data Privacy Checkbox Label - Allows you to enter the contents that should be displayed as label for the data privacy checkbox. Can contain HTML. ReCaptcha Version - Choose between Version 2 and Version 3 of reCaptcha. For more information visit this page. ReCaptcha Site Key - Allows you to enter the reCaptcha Site Key. To get the Site Key, please read the section below on “How To Set Up reCAPTCHA”. ReCaptcha Secret Key - Allows you to enter the reCaptcha Secret Key. To get the Site Key, please read the section below on “How To Set Up reCAPTCHA”. Google Maps API Key - Allows you to insert the Google Maps API Key that is required for the Google Maps to show up. Follow the steps in the Google docs to get the API key. This key applies to both the contact page map and Fusion Builder google map element. Address - Allows you to set the address to the location you wish to display. This is for the Embed API Type. Map Type -Allows you to set the type of google map that displays. This is for the Embed API Type. Choose from Roadmap, or Satellite. Google Map Address - Allows you to set the address to the location you wish to display. This is for the JS API Type. For single address, ex: 775 New York Ave, Brooklyn, Kings, New York 11203. If the location is off, please try to use long/lat coordinates with latlng=, ex: latlng=12.381068,-1.492711. For multiple addresses, separate addresses by using the | symbol, ex: Address 1|Address 2|Address 3. Google Map Type - Allows you to set the type of google map that displays. Choose from Roadmap, or Satellite, Hybrid, or Terrain. Google Map Dimensions - Allows you to set the width and height of the google map. Note: Height does not accept percentage value. Enter values including any valid CSS unit, ex: 100%, 415px. Google Map Top Margin - Allows you to set the distance to menu/page title. This is only applied to google maps that are not 100% width. Map Zoom Level - Allows you to set the zoom level of the google map. Higher number is more zoomed in. Address Pin - Allows you to display the google map address pin. Address Pin Animation - Allows you to enable or disable address pin animation. Map Popup On Click - Allows you to display the popup graphic with address info for the pin on the map on click. Map Zoom With Scrollwheel - Allows you to use the mouse scrollwheel to zoom the google map. Map Scale - Allows you to display the google map scale. Map Zoom & Pan Control Icons - Allows you to display the google map zoom control icon and pan control icon. Select the Map Styling - Allows you to set the google map styles. Choose from Default Styling, Theme Styling, or Custom Styling. Default is google style, Theme is our style, or choose Custom to select your own style options. Map Overlay Color - Allows you to set any overlaying color for the map besides pure black or white. Works best with "roadmap" type. Note: This option is only available for Custom Styling setting. Info Box Styling - Allows you to set the styling of the info box. Choose from Default Infobox or Custom Infobox. Note: This option is only available for Custom Styling setting. Info Box Content - Allows you to insert custom info box content to replace the default address string. For multiple addresses, separate info box contents by using the | symbol, ex: InfoBox 1|InfoBox 2|InfoBox 3. Note: This option is only available for Custom Styling setting. Info Box Background Color - Allows you to set the info box background color. Note: This option is only available for Custom Infobox setting. Info Box Text Color - Allows you to set the info box text color. Note: This option is only available for Custom Infobox setting. Custom Marker Icon - Allows you to insert full image urls for custom marker icons or input “theme” for our custom marker. For multiple addresses, separate icons by using the | symbol or use one for all, ex: Icon 1|Icon 2|Icon 3. Note: This option is only available for Custom Infobox setting. Step 1 - Register your Domain in reCAPTCHA. At this point, you will need to decide whether you want to use V2 or V3 of reCAPTCHA, as the Site and Secret Keys are different from version to version. See this doc for an explanation of the differences, and this one for a general overview of reCAPTCHA V3. Note: Both, V2 and V3 are actively maintained by Google and represent different modes of reCaptcha, rather than an older and a new version. Step 2 - Fill in the necessary fields in the form. Once you register your website using the form, it will give you a Site key and a Secret key. Step 3 - Under the reCAPTCHA section in Avada > Theme Options > Contact Form > Contact Form, make your version selection and add the the Site key into the ReCaptcha Site Key field, and the Secret key into the ReCaptcha Secret Key field. Step 4 - Save your settings when done, and reCAPTCHA will be active on your Contact Form page. If you are having issues sending or receiving emails from the built-in contact form, there could be a number of reasons why. 1. Please make sure you have a valid, working email address inserted in the email field in theme options on the contact tab. 2. Always check your junk or spam folder if you are not receiving the emails in your inbox. It's possible they are being sent there. 3. The email is sent TO the email defined in theme options panel, but it is sent FROM wordpress@yourdomain.com. If you wish to change this email address, please see the next troubleshooting section for a plugin that can help. 4. The email address set in the Theme Options can be any email address, which generally works fine with most hosting environments. But since mail relay settings are complex and depend on the host to function correctly, sometimes issues arise. If you face any problem here, you might have to define SMTP for an external host using the WP Mail SMTP Plugin. If the email address in theme options is Gmail, use SMTP settings for Gmail. 5. If that still doesn't work, you should create a valid wordpress@domain.com email address with your host. 6. The issue could be caused by mail delivery settings on your webserver. See this Google help doc for more information. When a user fills out your contact form, by WP default, the email you'll get will be sent FROM wordpress@your-domain.com. The main reason for this default FROM address is, that a lot of hosters will only relay emails from within the same domain, so FROM addresses like user@gmail.com or formsubmitter@other-domain.com likely won't work. Most hosters will relay emails from wordpress@your-domain.com, even if it does not exist. To be certain though, we recommend creating it, if you want to use this default address. If you want to use a different address from within your domain, WordPress offers two filters to do so. The one is wp_mail_from, which lets you set the FROM email address, and the other one is wp_mail_from_name, which lets you set a name for the address. 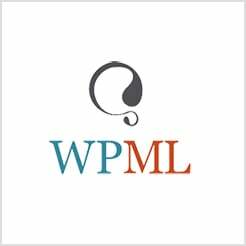 For further customization or cross-domain email addresses, we recommend using a plugin like WP Mail SMTP. There could be a few reasons for this. See the tip below, and check our Google Maps Not Working? document for some other possibilities. Use a correct address, or longitude/latitude, not a Google Map embed code, . It has to be a written address or coordinates. For example, 775 New York Ave, Brooklyn, Kings, New York 11203, or latlng=12.381068,-1.492711. Third party plugins may be conflicting with the map feature. Please disable any plugins that were not included with Avada to see it if fixes the issue. If it does, enable the plugins one by one to find the culprit.